I graduated from the University of Wisconsin-Whitewater in December 2013 with a Bachelor’s degree in Health and Human Performance and a minor in Coaching. With 3 years of experience in the Health and Wellness field under my belt, I am now working towards becoming a Certified Strength and Conditioning Specialist (CSCS). I have worked with a wide demographic of people ranging from kids to senior adults and I love helping people reach their fitness goals! I am a Sheboygan native, newlywed, and proud dog mom. I am looking forward to a great future with Creekside Performance Center! counseling. I graduated with a Bachelor's of Science in Nutrition and a Master's of Science in Oriental Medicine. I am happy to be providing acupuncture services to the Sheboygan area! I have been with Creekside Chiropractic since April 2009 and have been a certified Chiropractic Technician since April 2010. In addition to being a CT, I have completed Exercise Rehabilitation training which allows me to work directly with patients performing supervised therapeutic exercise. I enjoy watching patients improve week by week, and I look forward to growing with exercise therapy at the Creekside Performance Center. I live in Sheboygan Falls with my husband and three beautiful children (Rosie, Sophie, and Vinny). I'm a dedicated 4H mom and love doing things for the community. In my spare time I love to dance, draw/ paint, and the outdoors. I truly care for our patients and enjoy listening to our patient's success stories and how chiropractic helped them and their families. My journey as a Chiropractic Technician began here at Creekside Chiropractic in 2002. I literally knew nothing about chiropractic. I was impressed right away with all the things that chiropractic can do. I, like many thought that chiropractic was only for neck and back pain. I had no idea that chiropractic could help with ear infections, colic, headaches and so much more. I have seen first-hand the benefits of chiropractic. My husband Gary, our three children; Alex, Ali and Paige and I are adjusted on a regular basis. I enjoy the patients at Creekside Chiropractic and I wake up every morning knowing that I can believe in what our office has to offer. It is a blessing to be able to work in a Christian environment with people who truly care for each patient that walks through our doors. I have been a part of the Creekside staff since August 2014. 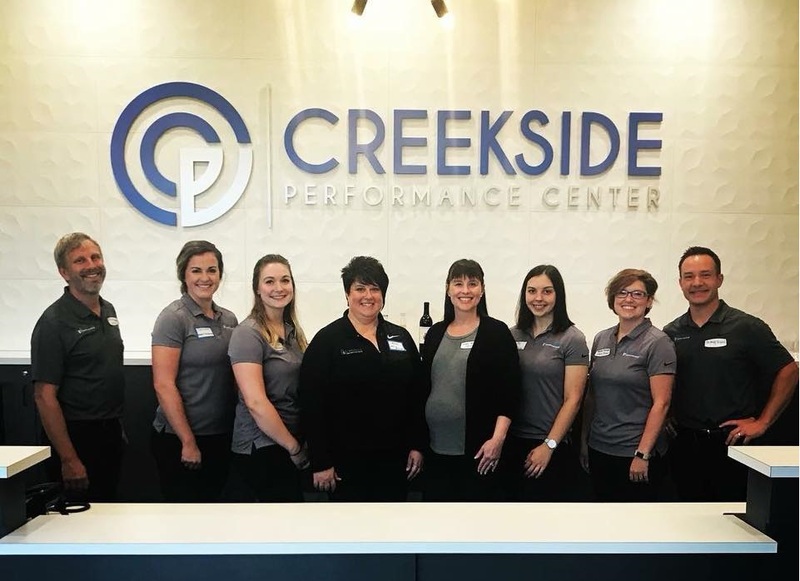 From being a patient here at Creekside Chiropractic since I was 9 years old, I have seen benefits personally from treatment for scoliosis, sports injuries, and headaches. In March 2014, I graduated from the Institute of Beauty and Wellness in Milwaukee, WI as a Licensed Massage Therapist and in November 2015 I completed my certification to become a Chiropractic Technician. I enjoy working with the doctors by integrating the benefits of massage therapy with chiropractic care to help patients recover quicker from their injuries and to enhance their regular adjustments. I love that I get to work in a place that I not only believe in the benefits of chiropractic care, but am also able to see first hand how massage therapy impacts peoples lives.